Smart technology designed to make workers' comp simple. 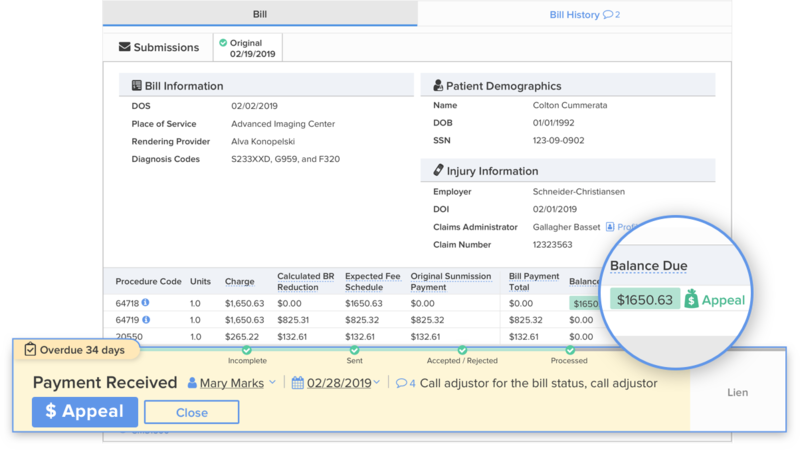 DaisyBill has direct electronic access to every one of the thousands of workers’ comp payors, which means every bill is reliably delivered straight to the claims administrator. 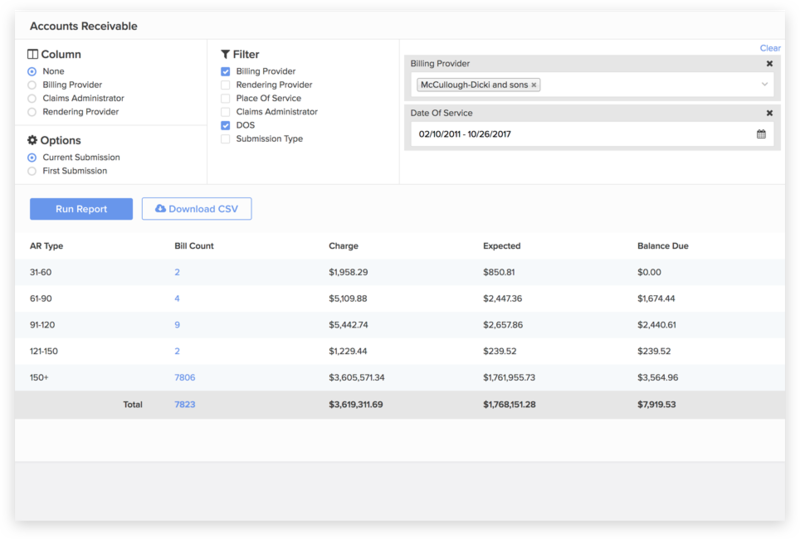 Use DaisyBill’s actionable analytics to discover what’s working, and what’s not. 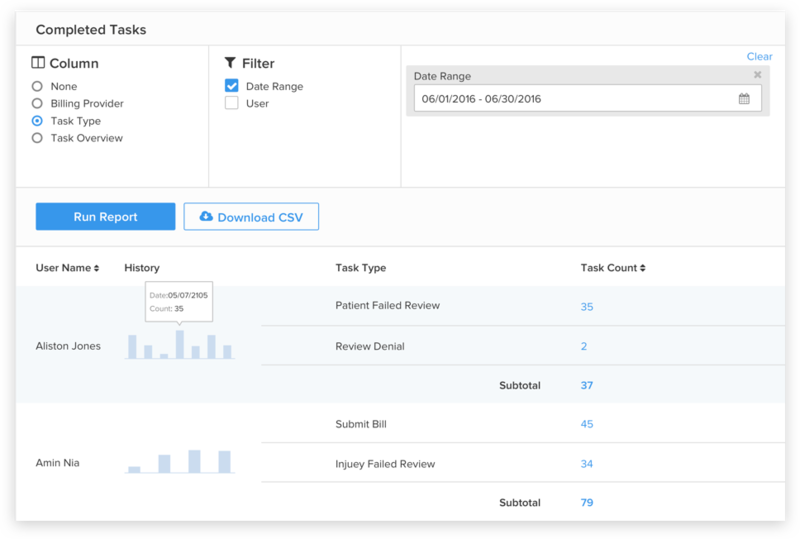 Instantly generate reports on the fly, broken down by provider, patient, procedure, claims administrator, etc. Report on the information that impacts your workers’ comp business. DaisyBill tells you what to do and when you should do it. No more uncertainty about the next steps required to receive the correct payment. The Smart Task Dashboard replaces spreadsheets and stickies with organized, automated, and friendly staff reminders. We automatically track every bill, so you instantly know where it is in the payment cycle. 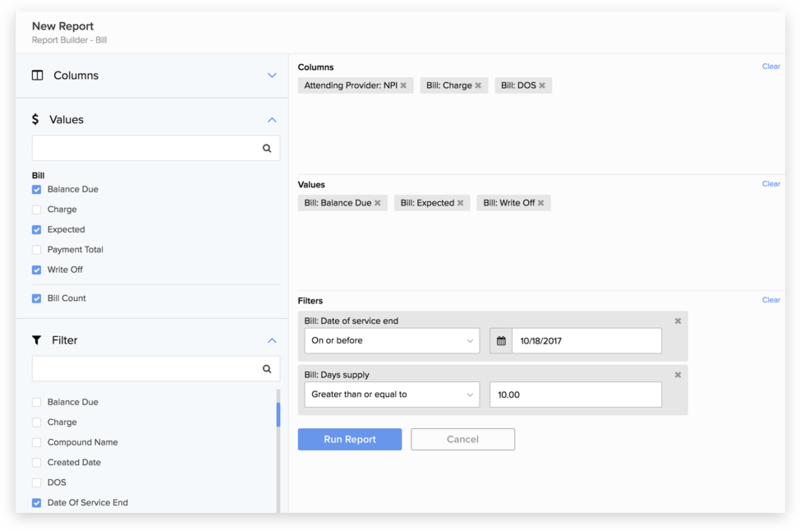 With verifiable proof of bill receipt at your fingertips, DaisyBill reduces guesswork and endless calls to payors searching for bills. Immediately dispute incorrect payments with easy and automatic appeals. 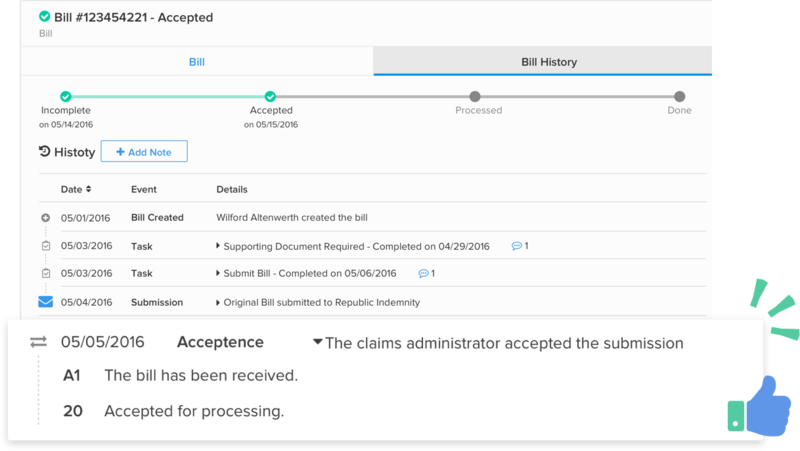 DaisyBill electronically sends and tracks appeals to make sure you receive the reimbursement you are owed. 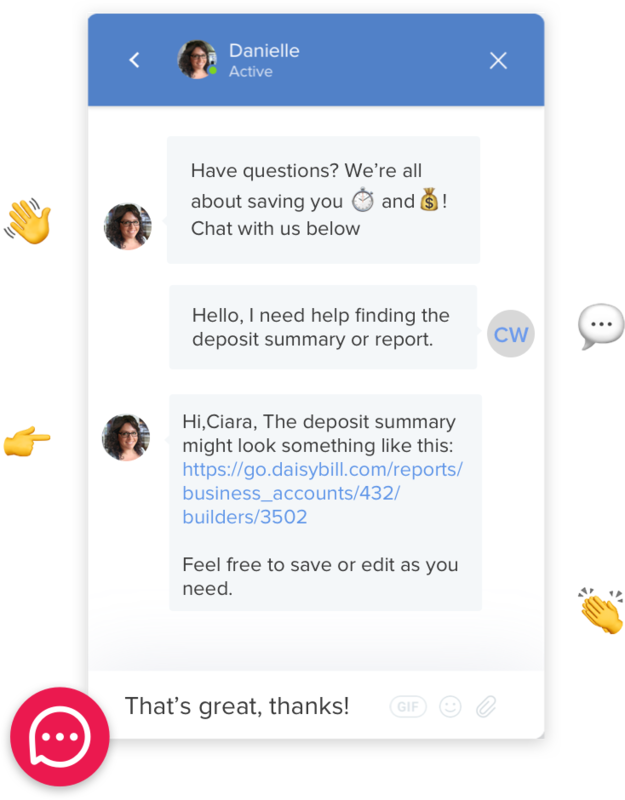 DaisyBill’s team of experts is on hand to answer questions via live chat--think of us as an incredibly knowledgeable extension of your team. We help you manage and understand the confusing rules for every step in the workers’ comp payment process. With DaisyBill’s SBR engine, Second Review Appeals are simple and quick. 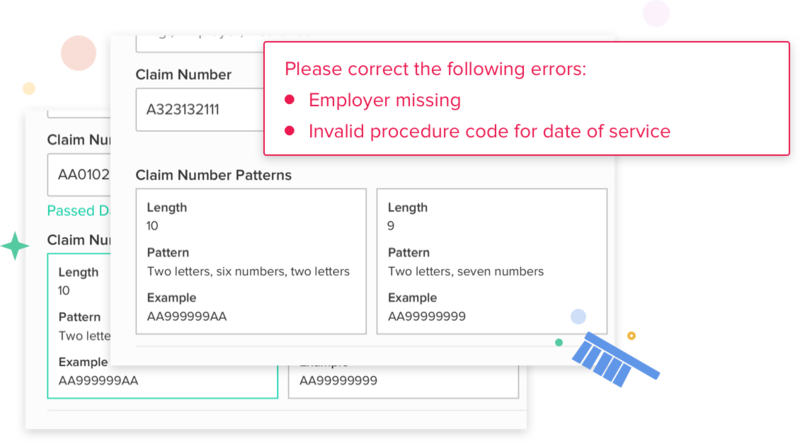 Just choose from a list of your customized appeal templates and our auto-fill feature completes the SBR form with your predefined appeal information. Easily submit and track all of your Requests for Authorization. RFAs take seconds, not hours, with handy templates set up for your practice. Automatic tracking alerts you when a response is due back, making follow-up a snap. 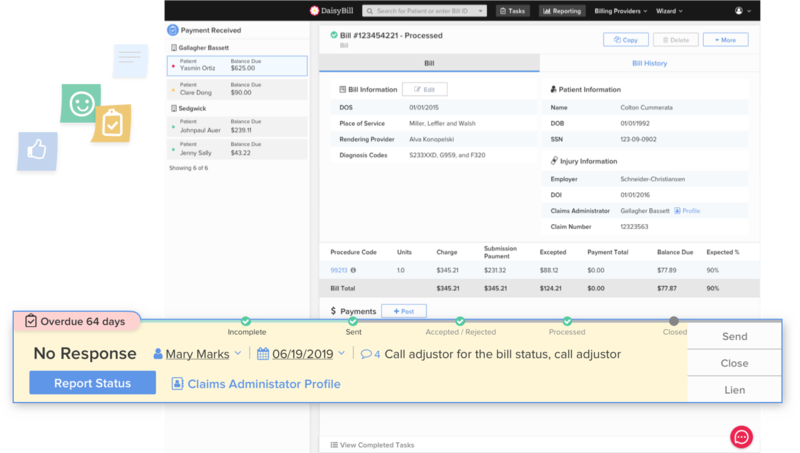 Smart technology tools to make workers’ comp simple: Instant workers’ comp fee schedule calculations, customized Fee Schedule Alerts, searchable IBR decisions, searchable MPN List, Claims Administrator Directory, Live Chat Help from our workers’ comp experts, and much more.